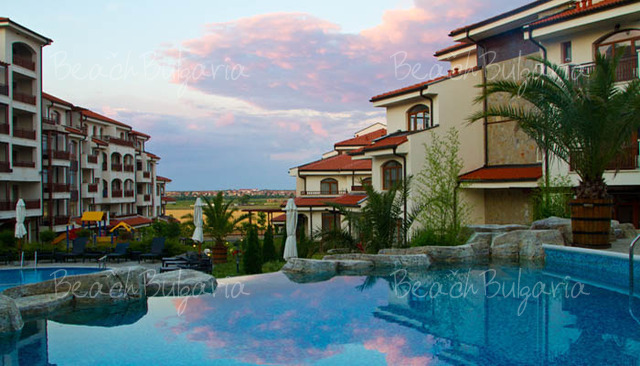 Vineyards Apart-Hotel is a boutique hotel situated on a hill, 2 km from the beaches of Aheloy and Pomorie resorts. The hotel offers panoramic views. 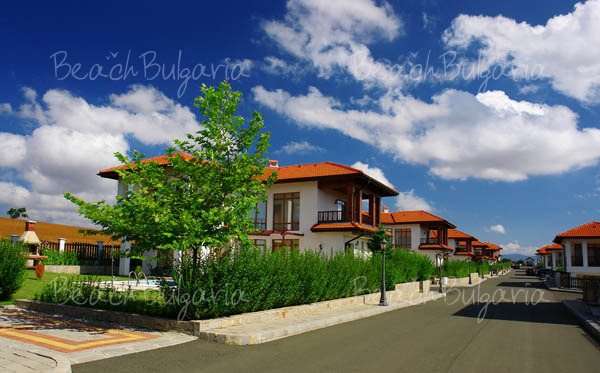 The closest destinations are: Burgas Airport - 14 km, Sunny Beach Resort – 10 km, the town of Nessebar - 10 km, the town of Pomorie – 10 km, city of Burgas - 20 km. 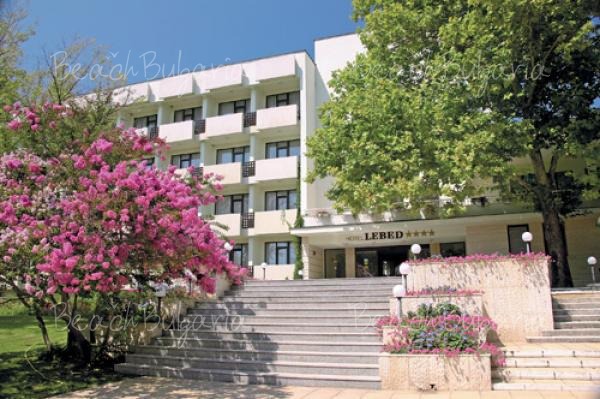 The hotel offers free shuttle service to Sunny Beach and Nessebar resorts. Vineyards Apart-Hotel is part of the Vineyards Complex – a gated community with villas and apartments located on a picturesque hill. The Complex combines 222 suites, 34 villas, a four star hotel with a lot of greenery and water areas. Villa "Azalea" offers 2 floors with 3 bedrooms on a total area of 179 sq.m. The ground floor includes a living room with a fireplace and a kitchenette, shower room, bedroom. On the second floor are situated two bedrooms, two bathrooms and two balconies. Each villa is fully furnished and features a spacious veranda and a private swimming pool in the garden. The villas offers air conditioning, internet, cable TV, fridge, BBQ. Villa "Margarita" offers 2 floors with 2 bedrooms on a total area of 146 sq.m. The ground floor includes living room with a kitchenette, on the second floor there are two bedrooms, two bathrooms and two balconies. The villa features a veranda and a private swimming pool in the garden. The villa is equipped with fridge, internet, air conditioning, cable TV, BBQ. 2-bedroom Apartment features a living room, kitchenette, dining area, bathroom, two bedrooms, balcony. It is fully equipped: cooking facilities, air conditioning, digital TV, Internet, fridge. 1-bedroom Apartment is fully equipped and features a living room, kitchenette, bathroom, bedroom, balcony. It offers fridge, air conditioning, satellite TV, Internet. The studio is a large room that combines living room, bedroom, kitchen, bathroom, patio. It provides cooking facilities, fridge, Internet, satellite TV. * The prices are in euro per room per night, no meal included. 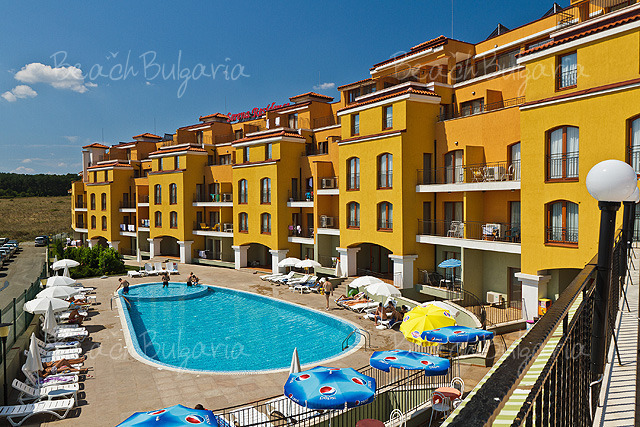 Guests of the hotel can use outdoor swimming pool, sunshade, sunbed and parking. * Cancellations can be made, providing details of this are received at least 10 days prior to check-in time on the day of arrival - cancellations made after this period will incur a fee equivalent to the cost of 1 overnight accommodation. Please, post a comment on Vineyards Aparthotel.